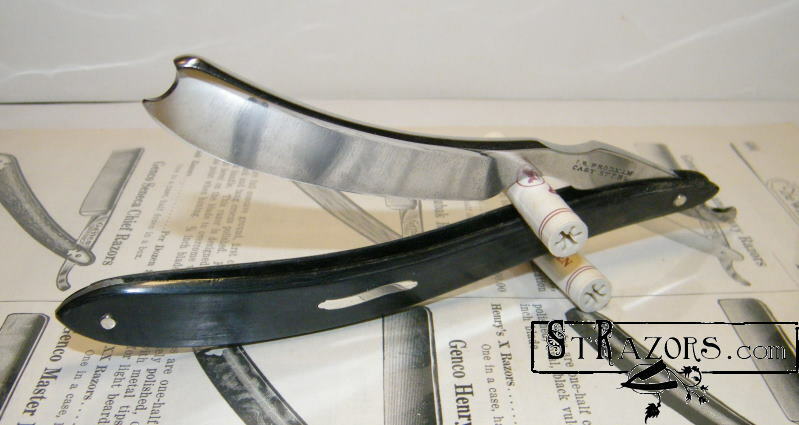 STRAZORS.com - all about classic razors - I.R.Frodxin, Cast Steel. This razor was made by Ignaz Rösler, Nixdorf,Bohemia. Ignaz Rösler was the founder of the "Ignaz Röslersche Feinstahl- und Nürnbergerwaren- und Pfeifenkopffabrik" in Nixdorf, Bohemia in 1811, one of the first cutlery companies in Nixdorf. 1. Nixdorf - Bohemia, in the Austro-Hungarian Empire. The Nixdorf cutlers, mostly ethnic Germans, exported knives all over Europe, as well as to America (before WWI, Nixdorf was the 3rd most important source of foreign knives sold in the US, following Sheffield and Solingen). Nixdorf knives are typically fancy, and typically German in workmanship. craftsmanship and high quality standards. "Nixdorf spells frodxin backwards. Maybe that will help." or "An urgent appeal: Help us protect our good name"."